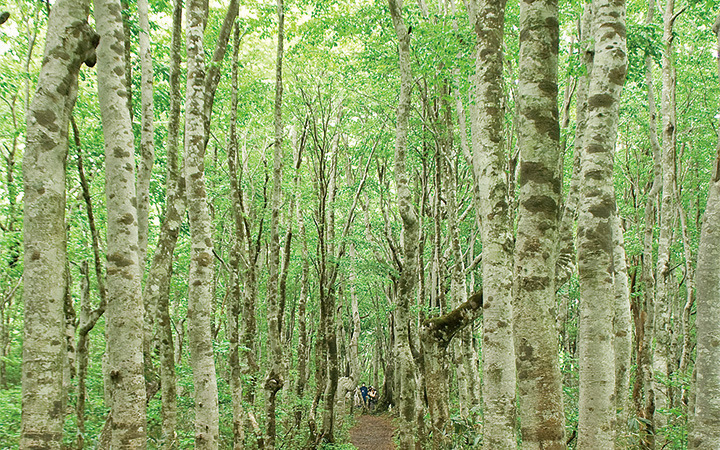 A ridge covered in an ancient forest of Japanese beech. Mt. Oginosen has a walking path that takes you near beautiful waterfalls and offers views of various wildlife that gather around the bodies of water in the Kirigataki Valley. Take Shin'onsen-Chomin Bus at JR Hamasaka Station and get off at Yumura Onsen bus stop. 20 minutes by taxi.